According to my Bally’s bartender friend, the new bar opens this week! It will have 18 games so about the same as Sally’s. We’ll be there the end of this week and I’ll post some pictures, hopefully of royals!, from the bar. I'm checking into Bally's Sunday. I don't drink or play VP at Bars but i will check out the desserts.....LOL. Can't wait to check it out. Thanks for the info! Looking forward to spending some time there on my December trip. Perfect timing. I’ll be there 2 weeks from tomorrow. The upper portion in the lobby is supposed to be a coffe and pastry area to replace the one that was displaced with the bar. The old place was good so I imagine this one will be too! Yep. It used to be called Java Coffee right behind the Check in desk. I used to get some pastries at the end of the night to bring up to my room. 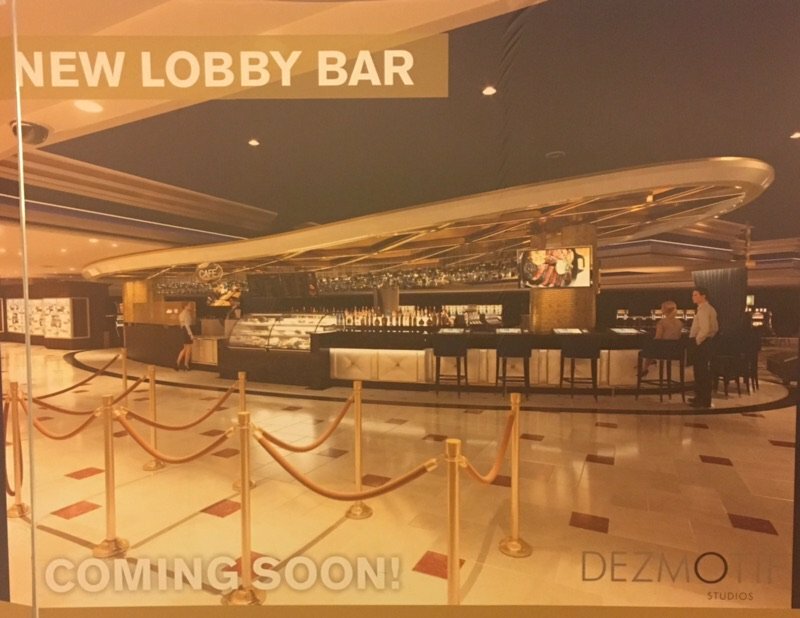 The new Lobby Bar is opening this week. The Bar will include Coffee and Desserts in addition to a new TV, gaming and alcohol. We are here now and did not look for it cause we were overwhelmed but I will take a look in a bit. Staying there over Thanksgiving weekend I think ( keep debating this reservation or switching to Planet Hollywood) Maybe photos will help me decide. I"m staying there soon, and I guess I'll check it out, but what am I missing? Bad CET VP amid throngs of tourists who are lost or waiting for a check-in agent? When it opens, if someone can check and see if there's any multi game All-Star II units, or if it's all just standard single hand Game Kings, you will be my favorite person of the day.